Should the type of reply be one where participants select between given options or yes/no, or when several participants give free text replies that can be aggregated, a statistic will be produced. 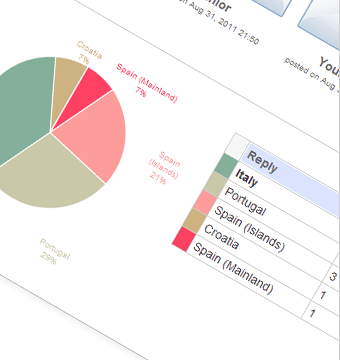 A pie chart gives a quick overview of the results. A table with columns that can be resorted by clicking shows a summary of the results as well as percentage values.